STERLING, Va. - March 23, 2015 - PRLog -- Cookology Founder and Owner, Maria Kopsidas, has been named as one of Loudoun County’s Top 20 Most Enterprising Women to Watch. The distinction is part of Loudoun Business Journal’s 2015 list of 100 Women Who Mean Business in Loudoun County. It celebrates the ingenuity of 100 trailblazing women in commemoration of Women’s History Month, highlighting their accomplishments, contributions and overall positive impact on both the business and economic communities of Loudoun County. The recognition also included a business leaders roundtable discussion in which Kopsidas participated last month with only nine of the other honorees. Coming off a strong 2014, Kopsidas was among very few of the honorees to be profiled as one of the Top 20 Enterprising Women to Watch, participate in last month’s roundtable discussion and be selected and photographed for the cover of the magazine. Her company increased revenues, grew its staff and expanded its offerings for classes and catering. They partnered with local restaurants, catering companies and hyper-local farms to boost business within the county and will roll out a professional culinary program later on this year. Other honorees on the full list of 100 women include Frances Craig, CEO of UNANET; Brittany Rose, CEO of MoreThanCheer; Tina Johnson, CEO of JP Events & Consulting; Andrea McGimsey, Executive Director of Oatlands and Crystal Owens, Managing Editor of The Loudoun Times-Mirror, among many others. Since 2009, Cookology has touched the lives of thousands of people at our location at Dulles Town Center. The goal is simply to inspire people to connect with friends and family over a great meal. We teach folks to do this every day by offering professionally taught, hands-on cooking classes in our safe commercial kitchens. 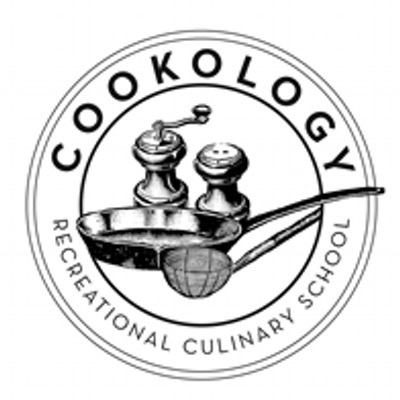 At Cookology, we believe that with practice and patience you can begin to change your life and the lives of your children by learning how to cook and changing what you eat. We hope to encourage every adult and child we meet to make cooking a lifelong passion. We're located in Dulles Town Center mall next door to Macy's on the lower level. Sign up for one of our classes or stop by and pick up a bottle of wine to enjoy around your table at home. If you're craving more Cookology you can also read about the latest happenings on our blog, Facebook and Twitter.